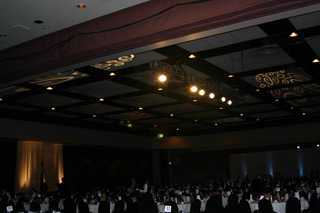 The most overlooked thing our clients think about is lighting on events but it is as important as the audio and video. Your audience came to see your presenter and lighting the stage is crucial for your audience to see them. In addition, the right lights to your room can transform a boring room into a magical landscape and inspire a unique experience.